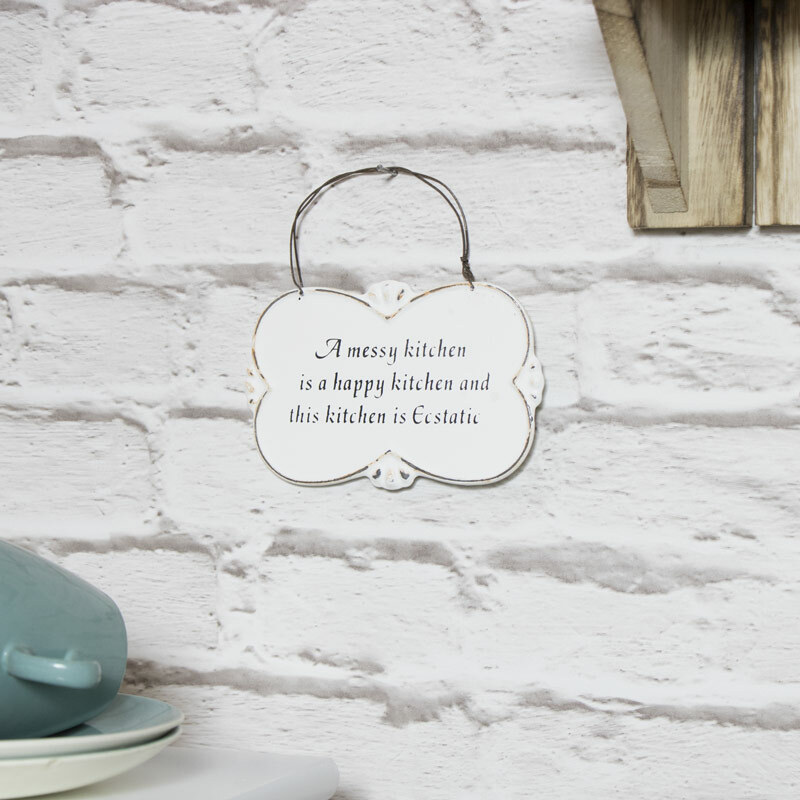 Add a humorous touch to your kitchen with this quirky wall mounted, metal, kitchen plaque. With a white back ground, distressed edging and an arched wire for wall hanging this cute plaque is perfect for any rustic or shabby chic kitchen and home. This would make a great gift whether it's a birthday, special occasion or even a funny house warming present. Add a humorous touch to your kitchen with this quirky wall mounted, metal, kitchen plaque. With a white back ground, distressed edging and an arched wire for wall hanging this cute plaque is perfect for any rustic or shabby chic kitchen and home. This would make a great gift whether it's a birthday, special occasion or even a funny house warming present. 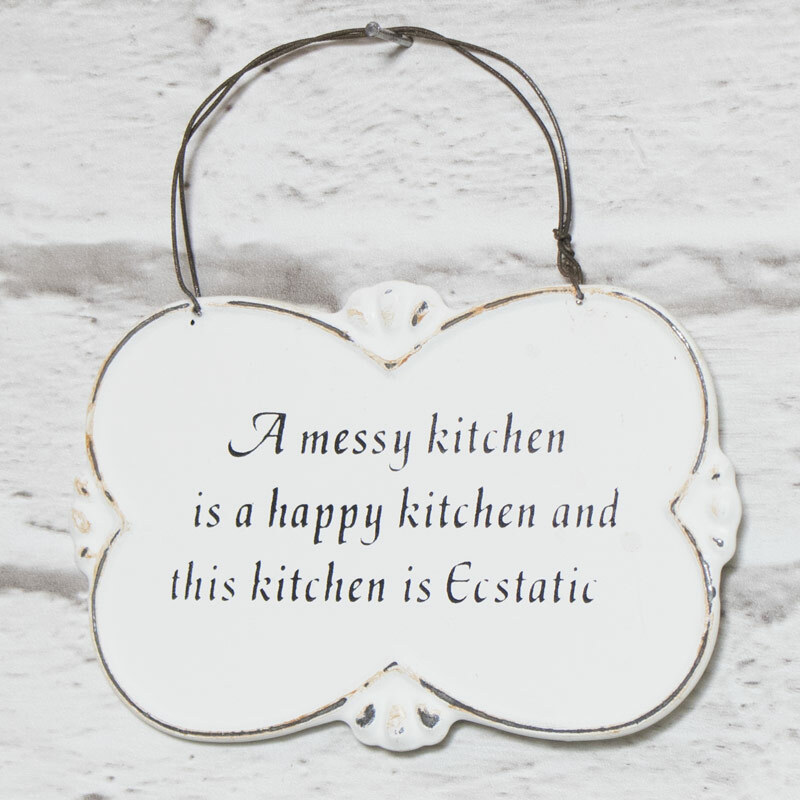 The plaque reads "A messy kitchen is a happy kitchen and this kitchen is Ecstatic"
Plaques are a great way to express your personality in your home but also make fantastic gifts!